1 Kenneth Cobonpue (3-A General Maxilom Avenue, Cebu, +6332/ 233 3056, 233 4045, www.kennethcobonpue.com). Everyone knows he’s the guy who does celebrity ex-couple Brad Pitt and Angelina Jolie's homes but not a lot of people know that he’s done the sets of Oceans 13 and CSI Miami, and not to mention the so many upmarket resorts and hotels worldwide. Kenneth, the brand, is in six continents but makes its homebase in Cebu. 2 Customwood (P.C. Suico St., Tingub, Mandaue City, + 6332/ 236 8603, 236 8746, wavi@pldtdsl.net). 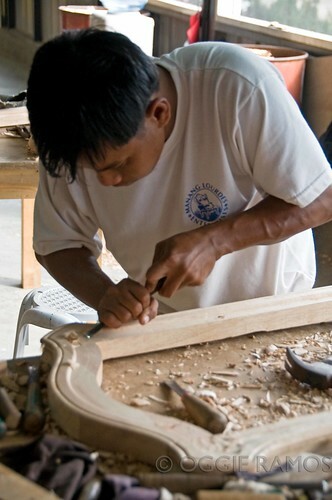 Torralba swears that Customwood is “by far, is the best custom-furniture manufacturer I've come across in the country: world-class, ISO certified; their factory is computerized. If you have a dream furniture piece in mind, just give them your ideas, your specs; and they will make it come to life. A tad costlier than your usual custom supplier but they are worth every penny. They specialize in veneering and other wood and iron techniques.” Their other world-famous company is Wicker & Vine, Inc.
3 Vito Selma (www.vitoselma.com). “This is the next name to watch in furniture design, with his mixing of wood and "sleek and swanky" design concepts. He's young, hip and bursting with promise,” Torralba gushes. 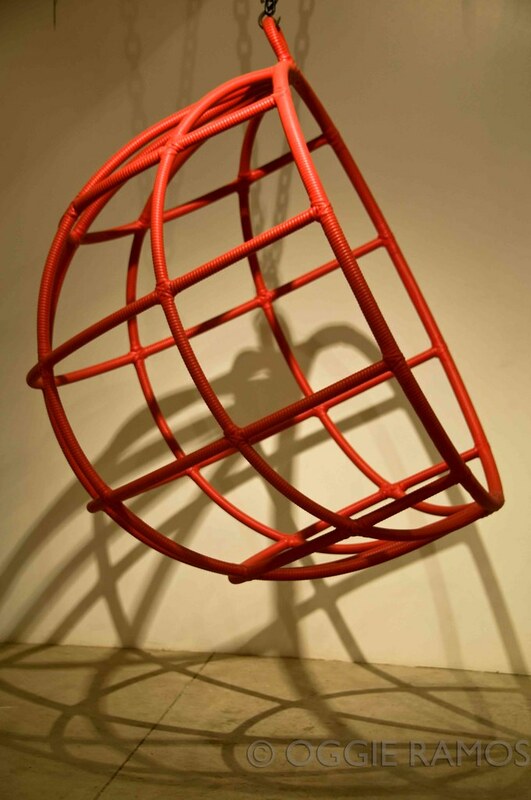 You can check out his pieces at Ito Kish in LRI Plaza on Nicanor Garcia St., Makati. 4 Clayton Tugonon (www.classicalgeometry.com) & Debbie Palao (www.debbiepalao.com). 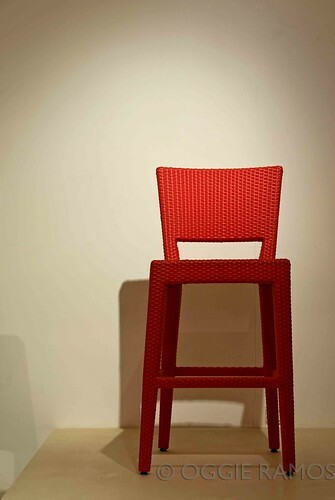 “Furniture design veterans who never lose their sense of creative mischief,” says Torralba. “Clayton once won international acclaim by designing furniture made out of condoms! Debbie Palao once had a collection inspired by my designs; such an honor.” Both put a contemporary twist on indigenous and natural materials. To read part 1 of the series (Why go to Cebu), click here. To read part 2 of the series (Historical Cebu), click here. To read part 3 of the series (Cebu Wining and Dining), click here. magagaling talaga ang mga pinoy. isa na dito ang may ari ng blog na to. alaam mong maganda ang ginagawa nila pero magling din tlaga ang kumuha ng mga pictures na to. hehehe Dom, ikaw talaga, isa pang bolero. ang magaling talaga yung laging naiimbita sa mga gimik at events tulad mo. thanks for the feature :) Design to inspire others! Go Philippines! hi oggie! it was nice meeting you! hi' it was nice meeting you! Vito, thanks for dropping by. I think much of the credit goes to Kate who shared her insider info with our writer, Andrea and my art director, Jocas. Kudos and keep up the good work bai. Pinoymom, thanks, my pleasure to have met you yesterday. I admire unique and quality furniture. 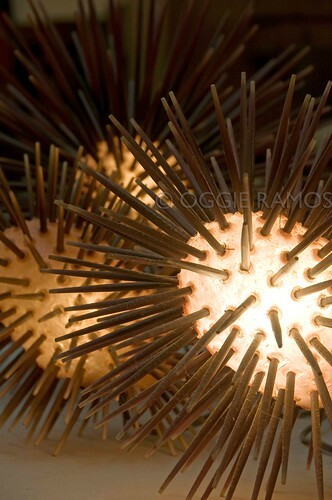 Cebu furniture is really well-made and the designs are really something else. Yun nga lang, kinda pricey but what the hey, they make us proud.